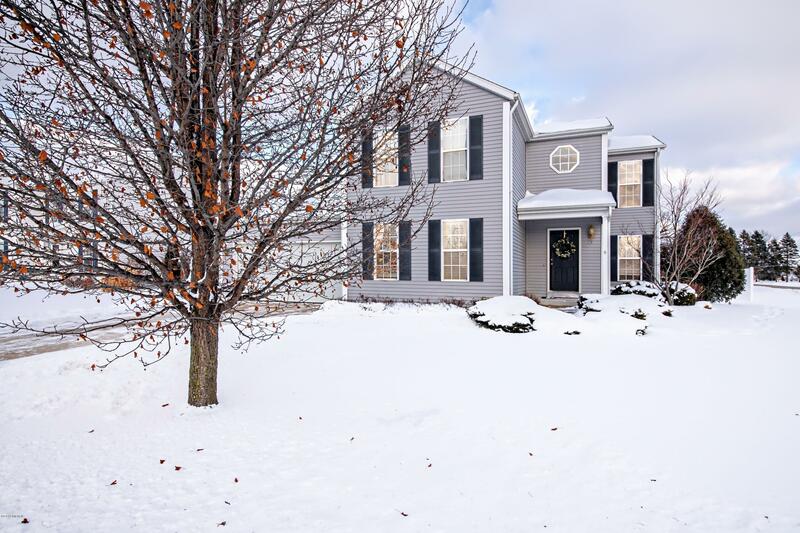 Exceptional move in ready home with 4 bedrooms and 3 full bathrooms. Great floorplan featuring an open concept between living room and kitchen. Beautiful bamboo floors throughout main floor as well as stairway & upper level hallway. Main floor bedroom offers the perfect space for a playroom, home office or guest room - since a full bathroom is right next to it. Kitchen features an island with additional seating & pantry. Upper level consists of 3 additional bedrooms, one being the master suite w/ walk-in closet and attached bathroom. Two additional bedrooms & laundry on upper level. All bedrooms are very spacious in size. Finished basement for great additional living space. Backyard offers a deck & patio for enjoying summer BBQ's. Built in 2004 & located in a neighborhood with sidewalks. Close proximity to schools, parks, grocery, doctors and so much more!